Three members of “Unbound Feet,” the seminal Chinese American womens’ writing & performing ensemble (1979-82) will read original poetry and a memoir. 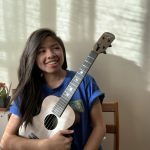 Jex Ponce Nguyen will accompany them on guitar. Seating is limited – Purchase tickets on Eventbrite.com. Tickets include admission to CHSA’s galleries and exhibitions. 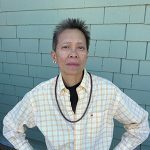 Nelli Wong is the author of four poetry books: Dreams in Harrison Railroad Park, The Death of Long Steam Lady, Stolen Moments, and Breakfast Lunch Dinner (Meridien PressWorks, 2012). She most recently edited Talking Back Voices of Color, Red Letter Press. 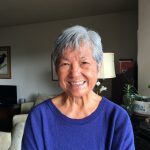 Two of her poems are inscribed at public sites in San Francisco: “Song of Farewell” is placed on the Embarcadero Roadway across from Pier 23 at the Muni railway stop. The other is located at Market and Sanchez Muni stop with both pieces selected by the San Francisco Arts Commission. Nellie Wong’s long active in labor, feminist and radical social change movements. She’s co-featured in the documentary film, Mitsuye and Nellie: Asian American Poets. Kitty Tsui is an activist poet and a poet activist. One of the founding members of Unbound Feet, she is the author of books including The Words of a Woman Who Breathes Fire, and Breathless: Erotica, winner of the Firecracker Alternative Book Award. At present, she is at work on White Snake, a historical novel, basely on her grandmother, a famous Chinese opera singer who toured Chinatowns in the 1920s through the 1940s. Her latest book, Nice Chinese Girls Don’t, was recently published by A Midsummer Night’s Press & Sinister Wisdom. Canyon Sam is a third generation San Franciscan and Chinese American. 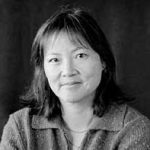 She is author of Sky Train: Tibetan Women on the Edge of History, winner of the PEN American Center’s Open Book Award, (Foreword by the Dalai Lama). She is a nationally acclaimed performance artist and long time activist. Nearly twenty years in the making, Sky Train blends spiritual memoir, oral history, travel narrative and reportage to illuminate the untold stories of four Tibetan women’s resistance, resilience and courage during the P.R.C. takeover of their country. Jex Ponce Nguyen is a young professional working in the tech industry in San Francisco.